Tom Scharpling ’95 is host of “The Best Show on WFMU.” Photo © Mindy Tucker. Just before nine o’clock on an early spring evening, Tom Scharpling bursts through the door of the massive record room on the second floor of WFMU’s offices in downtown Jersey City. He’s been at the station for a little while, but it’s time for him to get ready for his weekly show, not-so-subtly entitled The Best Show on WFMU. As he listens to some power pop emanating from his laptop, he peruses the racks to find the songs that he’ll play during the first 15 minutes of the program. After picking the music, he runs down the guest lineup with his associate producer and call-screener, “AP” Mike Lisk. “Three calls in a row: Feuerzeig, Fielder, then Wurster,” referring to filmmaker Jeff Feuerzig and comedian Nathan Fielder. The third person is Jon Wurster, Scharpling’s comedy partner, who will be calling in from his North Carolina home as yet another character from the fictional New Jersey town of Newbridge, this time as abusive community college handball coach Orenthal Harrups. Scharpling, who graduated from TCNJ in 1995, has been doing Best Show since 2000. The show has evolved a bit over time, going from two hours to three, and with Scharpling monologuing more and taking less calls. But two things have been constant: his desire to be himself and his partnership with Wurster. 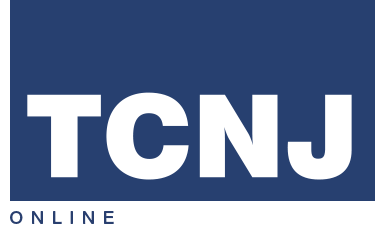 The show, which airs every Tuesday from 9 PM to midnight EST on the public radio station, is extremely popular, at least by the standards of public and Internet radio. Between the broadcast, the station’s online stream, and the podcast of the show that’s available on iTunes and elsewhere, Best Show attracts an audience in the six figures. While Scharpling doesn’t know exactly what percentage of the audience comes from each format, he knows that he’s brought enough listeners to the station that his show alone raised over $200,000 during WFMU’s March 2013 pledge marathon. As the show goes on, he takes calls from avid listeners, interviews his guests, and monologues some more. But the highlight is the comedy routine with Wurster, where they stray from the abusive coach routine to discuss a fake version of Saturday Night Live, rattling off lists of fake cast members and fake musical guests in the show’s fake history. They’ve been doing this on the radio since the late ’90s, when Scharpling had a more music-oriented show on the station. 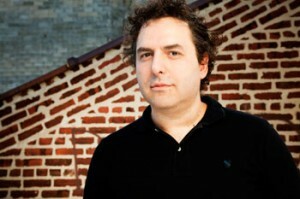 Wurster and Scharpling met at a Superchunk show in 1992, shortly after Wurster became the band’s drummer. They bonded over the Chris Elliot sitcom Get A Life and a very obscure MTV VJ. Since Monk ended, Scharpling has had a development deal with Comedy Central that didn’t lead to a series; he’s currently producing and writing an IFC pilot with comedian Chris Gethard. But much of his creative energy has been devoted to writing and directing music videos, a mini-career that started in 2011 when Ted Leo asked him to direct one for his band. “By that point, I was thinking about doing a short film or something,” says Scharpling. “This will be the perfect way to do that because it’ll be something that gets seen by people. So, I put a little money aside to go do the short film,” with a little help from Leo’s label.